Today Montreal was pouring rain - for an outdoor music festival rain is not a welcomed neighbor. However, at the Montreal Jazz Festival rain is no reason to keep your dancing shoes indoors. 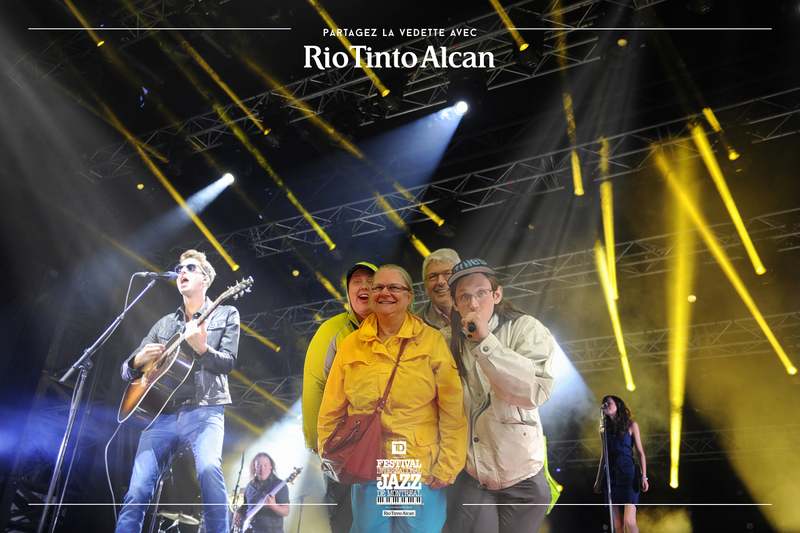 Read about my other adventures at the 2015 Montreal Jazz Festival: Day 1, Day 2. Read about my adventures at the 2014 Montreal Jazz Festival: Day 1, Day 2, Day 3, Review of Bobby McFerrin. Even though it was raining, I was able to find tent concerts that kept me dry. The first band I saw today was L'espirit De La Nouvelle-Orleans. Montreal is a French speaking province of Canada, so many of the local acts are dixieland and gypsy styles of jazz due to their French heritage. This group played such standards as "Hello Dolly", "All of Me", and of course "When The Saints Go Marching In." Also, the group used collective improvisation - where each instrument improvises at the same time. This collective improvisation built the music's intensity as the melody was repeated with different countermelodies and arpeggios. Afterwards, I visited the Place De Arts again to look at some of the artwork and sculptures. Another band I saw was "Orkestra Severni", a Balkin-jazz group. I am not familiar with Balkin music, so hearing this fusion of sounds was interesting to me. The scales, harmonies, and melodic shapes were different from American jazz, yet the improvisation was still present. The instrumentation featured harmonica, trumpet, trombone, alto saxophone, sousaphone, and drum kit. Following, was "Gypsophilia", a gypsy and klezmer style jazz band. Gypsy jazz was popularized by the French guitarist Django Reinhardt. This group was not only musically rewarding - it was wholly entertaining. The leader of the band involved the audience, by learning to speak French on the stage to passing around his tambourine to teaching us a clapping pattern. Gypsophilia was rhythmically rich and danceable - so much so that during the song "Jewish Dance Party" the leader jumped off the stage and did a handstand! Afterwards I saw "Montreal Hard Bop Five", a hard bop jazz quintet. Hard bop is a style of jazz from the 50s and 60s that described a new form of bebop with added rhythm and blues and gospel influences. Some of the main contributors to hard bop were Art Blakey and Horace Silver. Montreal Hard Bop Five utilized a classic hard bop instrumentation - saxophone, trumpet, piano, bass, and drums. Even in the rain, there were plenty of opportunities to experience multicultural music, art, and food. This experience inspired my poem, "Hum sing shout" on my jazz poetry blog, "Without a Poem". Throughout this entire experience I want to hear why do you love jazz? Comment down below.